To Head of the State Aviation Service of Ukraine Mr. Bilchuk O.V. The reason for our appeal is completely groundless and false information presented in the letter №1 , which was addressed to you on 23.05.2016, allegedly signed by a member of the NGO "BAA" AOPA-Ukraine" Voronin A. Specifically, this letter reported that Mr.Gennady Khazan, according to the decision of Appeal Court of Lviv region from 11.05.2016, is not the president of the NGO "Ukrainian Aviation Association" AOPA-Ukraine "and can not represent their interests in the government. Please note that under Section 1 of Article 7 of the Law of Ukraine 15.05.2003 "On state registration of legal entities and individuals - entrepreneurs and community groups" (as amended), the unified state register is created to provide state agencies and local governments and members of civil turnover with reliable information from the Unified State Register about legal entities , community formations, which do not have no legal status, and individual entrepreneurs. According to paragraph 1 of Article 10 of the Act made to the Unified State Register of documents and information , which are subject to mandatory submission to it , are valid and can be used in a dispute with a third person. According to information contained in the Unified State Register of Legal Entities, the president of the NGO "BAA"AOPA-Ukraine" at this moment is Gennady Khazan. Thus, information about the president of NGO "BAA"AOPA-Ukraine", who is Gennady Khazan, in accordance with Part 1 of Article 10 of the aforementioned Law is true. However, it should be said that the mentioned decision of the Appeal Court of Lviv region from 11.05.2016.has denied the claim records of the abolition of the Amendments to the information contained in the Unified State Register of Legal Entities and Individual Entrepreneurs, including the election of Gennady Khazan for President. Thus, till the day of the election of another person as the president of the NGO "BAA" AOPA-Ukraine "and making stations in the Unified State Register ,Khazan Gennady is president of NGO" BAA "AOPA-Ukraine" and, accordingly, is a person who is entitled to act on behalf of any action without authorization, including to represent its interests to public authorities. We apologize for the inadequacy and ignorance of legal persons involved in the drafting of the letter №1 23.05.2016 which was signed Mr.Voronin. Also, using the moment, I would like to inform you that Mr.Voronin is not only a member of the Council, but also is not a member of NGO "BAA" AOPA-Ukraine ". President of NGO "BAA"AOPA-Ukraine" H.E.Khazan 26-05-2016р. Обращение ВАА "АОПА Украина" к главе ГАСУ г. Бильчуку А.В. от 26.05.2016 г.
В связи с действиями отдельных граждан Украины и их обращение в ГАСУ с надуманными и юридически несостоятельными требованиями, которые по сути должны парализовать работу и деятельность нашей общественной организации, мы обратились с письмом главе ГАСУ с разъяснением ситуации. Подробнее: Обращение ВАА "АОПА Украина" к главе ГАСУ г. Бильчуку А.В. от 26.05.2016 г.
Заявление ВАА " АОПА Украина" по поводу провокации с названием "авиамайдан"
ВАА " АОПА-Украина" обращается ко всем здравомыслящим пилотам и владельцам воздушных судов в Украине с просьбой очень ответственно и обдуманно подойти к вопросу участия в так называемом "авиамайдане"! Организация этого "действа" носит провокационный характер, автор этого " мероприятия" известный фальстификатор, и человек которого не интересует развитие Украинского авиационного пространства как собственно и консолидирование авиационного сообщества в Украине! Мы призываем пилотов которые приняли решение все таки участвовать в этом мероприятии не нарушать Авиационные Правила Украины, дабы не нанести вред иным здравомыслящим и законопослушным пользователям Воздушного пространства Украины! С Уважением, Геннадий Хазан президент ВАА"АОПА-Украина"
Предварительная дата проведения семинара: 5 февраля 2016 года г. Киев. запись производится для не членов ВАА " АОПА-Украина " по предварительным заявкам отправленным на мой е меил., или в личные сообщения в нашем форуме. AOPA-Ukraine has initiated the appeal to the Ukrainian Aviation Authorities to discuss regulations for private aircraft and their repair under parts 145 and 66 specifically in reference to aircraft engines and propellers. AOPA Ukraine met with representatives of the Aviation Administration of Ukraine, which resulted in a positive outcome for general aviation in Ukraine. For more details contact AOPA Ukraine directly. AOPA Ukraine wishes to express their gratitude to our colleagues: AOPA –Poland - Blazej Krupa, AOPA-Sweden – Nicolas Larson, IAOPA – Martin Robinson for their help and advice in preparing for this meeting." Перелет посвящён памяти Олега Балицкого. С радостью хочу сообщить, о результатах нашей работы по оптимизации тарифов для АОН в аэропортах Украины. С 1 августа 2015 года в а/п Львов им. Данила Галицкого вводятся новые тарифы. Появление новых тарифов а/п Львов, это результат плодотворной работы Всеукраинской авиационной ассоциации "АОПА-Украина" и нового генерального директора а/п Львов Д.Н. Шикарчука, при содействии Госавиаслужбы Украины! Что самое знаменательное, что данные тарифы будут распространятся на ВСЕ самолеты АОН(GA), вне зависимости от страны регистрации и принадлежности! Это очень серьезный прорыв в политике оптимизации тарифов для нашей авиации АОН(GA)! Данные, сниженные ТАРИФЫ однозначно приведут к увеличению операций самолетами АОН (GA), и к взаимной выгоде как приватных пилотов, так и самого аэропорта Львов! "Music Avia Bike UKRAINE", который состоится 24-27.07.2014г. Simplified European IFR training is finally here! Press Release: "Business and General Aviation Industry Leaders Host Members of the European Parliament for Breakfast to Assess State of the Sector"
"LARNACA Played host to a Cypriot - Israeli conference on regional cooperation on aviation"
Online registration is now open for the 2014 World Assembly being hosted by AOPA China September 9th through 13th in Beijing. AOPA China has set up a website at http://www.aopa.org.cn/zt/iaopa/ that provides delegates the most up-to-date information on this important IAOPA event. By taking advantage of "early" registration, now open through June 1st, attending delegates and their accompanying spouses can experience the sights and sounds of the add-on optional tour (Sept. 14th and 15th) for nearly the same price as the regular registration fee that will go into effect after early registration has closed. Don't miss this "early" registration opportunity - register today! On 14 March we received the very welcome news by EASA's Rulemaking Officer Matthias Borgmeier, that the long-awaited rule for simplified European IFR training has been published. The rule will come into force on 3 April 2014. It includes "competency-based" IFR training with drastically slimmed theory training, the all-new Enroute IFR and the simplified lateral entry into the European licensing system for pilots who have received their IFR training abroad. EASA also intends to publish the so-called decision with explanatory texts in early April 2014. It will also include AMC material so that flight schools will then know in detail how they conduct the training and adapt their manuals. We consider these new provisions as a major milestone on the road to a safer and more economical General Aviation in Europe. We assume that many pilots will take the opportunity to go to a flight-school again to train for their IFR, so far the completely exaggerated theoretical knowledge requirements have been impossible to manage for many applicants who are in business-careers and have a family. IAOPA thanks EASA and their staff for their support and commitment to this project and all of our colleagues with whom IAOPA representative Michael Erb has cooperated with in this EASA working group entitled "FCL.008" under the leadership of Raymond F. Neuhold over several years. Brussels, Belgium - 21 March 2014 - Representatives from the European Business Aviation Association (EBAA), the International Council of Aircraft Owner and Pilot Associations (IAOPA), members of industry and Members of the European Parliament convened for breakfast to discuss what progress has been made since the European Parliament published a Resolution on an Agenda for a Sustainable Future of General and Business Aviation in February 2009. Participants generally agreed that while the resolution recognizes the importance of the sector for European economic growth and regional connectivity, two areas where greater support was needed - fair access to airports and a need for tailored rulemaking - have witnessed few gains since publication. "It is important that we foster close relationships with this sector to be continually updated on its advances and opportunities to improve air transport for the benefit of all users," stated MEP Knut Fleckenstein, who co-hosted the breakfast together with EBAA and IAOPA. "That said, we believe we can - and should - do better." In terms of fair access for business and general aviation operations, hurdles have appeared in recent legislation concerning slot allocations and state aid to regional airports, and the relentless squeezing out of business and general aircraft from major airport hubs persists. As for the deficit of rules tailored for business and general aviation operations - whose operations significantly differ from those of the airlines - one only need to look at the sector's treatment in the EU Emissions Trading Scheme, Flight Time Limitations and Runway Performance rulemaking. "There is a need for a joint approach between the Parliament, the Commission and its agencies, where the Parliament takes a leading role in influencing policies that result in more growth in our sector. Europe should aspire to be the world leader in this segment of civil aviation," explained Martin Robinson, Senior Vice President of IAOPA. "Fulfilling the proposals of the Resolution is of vital importance; not only to business and general aviation, but to Europe as a whole," added Fabio Gamba, CEO of EBAA. "We are committed to ensuring that our unique requirements, activities and numerous benefits to business passengers and local economies remain visible to European legislators. And we look forward to continuing this dialogue to ensure that the 2009 Resolution does not turn out to be an exercise made in vain." In line with its ongoing cooperative efforts to resolve what remains the number one priority for global aviation safety experts, the International Civil Aviation Organization (ICAO) has released a new Runway Safety Implementation Kit (iKit), developed in collaboration with IATA, ACI, CANSO, ICCAIA, FSF, IFALPA, IFATCA, IBAC, IAOPA, FAA, EASA and EUROCONTROL. The new iKit consolidates many of the resources developed by ICAO and its Runway Safety Program partners in recent years, as well as including latest guidance updates. Since its Global Runway Safety Symposium in May 2011, ICAO and these supporting agencies have delivered a range of helpful tools to assist States and operators, including updated runway safety international standards, centralized online resources, publication of the ICAO Runway Safety Team Handbook and twelve Regional Runway Safety Seminars. "The ICAO Runway Safety Program is one of global aviation's best examples of how collaborative efforts on behalf of the world's States and leading aviation organizations can deliver practical, cost-effective results on the very complex, multidisciplinary challenges facing our sector," remarked ICAO Council President, Dr. Olumuyiwa Benard Aliu. "ICAO and its partners in this area remain fully committed to delivering continuous improvement on global aviation safety results and to lowering runway-associated fatalities." In the near-term, ICAO and its partners will also be launching a Runway Safety GO-Team program which will help establish focused Runway Safety Teams at world airports, as well as conducting further Regional Runway Safety Seminars in Africa and the Middle East. All of this work will be coordinated under ICAO's Regional Aviation Safety Groups which are responsible for implementation efforts and associated achievements relating to the targets in the ICAO Global Aviation Safety Plan. Now is the time to initiate contact with your regulatory authority and begin collecting the data that is needed to populate the IAOPA Statistical Report. Besides being included as one of the purposes of IAOPA as contained in the organizational constitution and bylaws, a resolution adopted at the 7th World Assembly requires that biennially, and no later than 60 days prior to each World Assembly, each affiliated national organization shall provide the Secretariat with statistics regarding its national organization and general aviation in the country using a format set forth by IAOPA. The Secretariat shall compile these statistics and provide World Assemblies with this information. With ICAO no longer collecting statistical information on general aviation the importance of the survey that IAOPA conducts has gained an even greater recognition on the world stage and represents the most comprehensive data base that exists. It is important that affiliates work with their respective national regulatory bodies to ensure that the information provided is accurate and timely. If you have any suggestions on how we can improve our data collection efforts, please be sure to let us know. Look for an electronic notification listing the specifics within the next few weeks. The conference was organized by the Flight Safety Foundation Mediterranean (FSF - MED), Israel's Fisher Institute, Hermes Airports and the International Council of Aircraft Owner and Pilot Associations (IAOPA). In statements to CNA President of FSF-MED Makis Constantinides said that more than thirty small planes landed in Larnaca inbound from Israel and their owners took part in the conference. 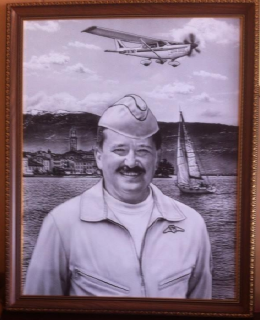 The goal, he noted, is to promote Cyprus as a safe destination and a great place for pilots and owners of small aircraft to visit with safety. On his part Eran Ramot Head of Fisher Institute For Air & Space Strategic Studies said that for us in Israel and for Cyprus this seminar is the start of a very interesting beginning. It marks a very beautiful beginning and cooperation for Cyprus Flight Safety Foundation and the Fisher Institute which began last year, he added, explaining that a conference took place in Israel "where we established a new cooperation and a new relationship between Cyprus and Israel". Replying to a question on security of flights within Cyprus' Exclusive Economic Zone after the discovery of hydrocarbon resources, he said that that there are thoughts to include such matters as part of the next conference which will take place in Israel, in November. Senior Vice President IAOPA European Region Martin Robinson said that he has been visiting Cyprus since 2007 in an effort to establish a better working relationship with the civil aviation authority and the airport of Larnaca. "I would say that through dialogue we have improved tremendously, the understanding and the cooperation with all the parties", he noted. Replying to a question on the safety of flights in Cyprus he expressed the point of view that IAOPA believes safety "should be improved through education rather than more regulation". On May 22nd and 23rd the European Parliament will hold elections and it is expected that about 50% of the current 750 MEPs will be replaced. This will mean new members for the Transport Committee which is an important part of the political spectrum in Europe. There will be a new Commissioner for Transport as Mr. Kallas, the current Commissioner, move's on in 2015. IAOPA Europe has employed a former MEP, Ulrich Stockmann, to assist in raising awareness of GA issues amongst MEPs. Ulrich was an MEP for 17 years and highly respected still amongst his fellow MEPs which has been fundamental in building our understanding between the different parties. The two largest parties, the European People's Party and the Progressive Alliance of Socialists and Democrats, hold the majority of seats so understanding the political machinations is important if we are to achieve greater visibility amongst MEPs. IAOPA Europe is working with industry partners in order to further our joint aims which are based on the MEP resolutions of June 2008 'Agenda for Sustainable Future in General & Business Aviation'. Understanding the economic benefits derived from our activity to local, national, and the European economies are important. When regulations are developed they must consider the social and economic effect and not solely the safety impact. There are many issues for GA in Europe. Access to Airspace and Aerodromes - Single European Sky (SES) and its ATM research project SESAR (Europe's NextGen) are virtually solely focussed on Commercial Air Transport issues. One Airspace change which is on the 'near' Agenda is PBN - Performance Based Navigation - as Air Navigation Service Providers (ANSP) redesign traffic management areas to achieve PBN - GA may not have equipment available to achieve the required navigation performance (RNP) in order to use the aerodrome or to receive a crossing service. This will require national AOPA's across Europe to make sure they engage with Airspace planners to develop solutions for continued GA access - particularly for VFR operations that cannot achieve the RNP in PBN. Whilst some GPS boxes may be able to achieve the RNP, not all GA operators will necessarily be able to equip themselves with such equipment. During a recent workshop the assembled group when tasked with coming up with a new vision for SES the idea was to base the vision on ATM - until I pointed out that ATM was one element of SES. The meeting ended without finding a vision statement that could be agreed - the primary reason for this, in my view, is the 'silo mentality' that exists in such groups. Change has to come and I believe that across Europe we will see the larger ANSPs merge. The Commission may introduce competition not in the ATM market but of the ATM market this could mean that States have to offer licences which would go through a bidding process. However, not all ANSPs are privately owned but this would not mean that non-privatised ANSPs could not bid. As this develops GA will need to protect its interest and IAOPA Europe is at the heart of the debate. In the afternoon of February 29, 2012, a pilot and two passengers were returning to the Melbourne International Airport in Florida (USA), after a local flight in N544SR, a Cirrus SR22. There were several aircraft operating in the traffic pattern of the airport's parallel runways. The weather and visibility were good. N544SR was approximately five miles south of the airport when the pilot contacted Melbourne Tower. He was to report downwind for Runway 9R. Meanwhile, a flight instructor and student pilot flying a Cirrus SR20 were on a long final for the same runway to perform a touch and go. As the two aircraft were approaching the runway, the tower asked N544SR to confirm visual contact with the SR20, now on a one-mile final for Runway 9R. But instead N544SR reported being on a "real short base" for landing on Runway 9R, causing this alarming reaction from the controller: "No sir, I needed you to extend to follow the Cirrus out there on a mile final, cut it in tight now, cut it in tight for nine right." The two airplanes had closed to within one-half mile of each other, but were still separated by 300 feet of altitude. The SR20 flight instructor took immediate control of the airplane from his student, increased power, and began a shallow climbing turn to the left between the parallel runways to go around and avoid a traffic conflict. At the same time, N544SR was seen to abruptly bank 30-45 degrees left. Moments later it crashed just off the approach end of the runway leaving a smoking pile of wreckage. The mistakes that put it there are the focus of this Air Safety Institute Accident Case Study. How could things have gone so wrong under such benign circumstances? Listen to audio of the pilot's interactions with Melbourne Tower and factual information from the National Transportation Safety Board (NTSB), and watch the video reconnect the links of the accident chain to seek out lessons in this tragedy (http://www.aopa.org/AOPA-Live.aspx?watch=%7b384817B3-70C4-4147-9C4C-2A5517FD5DEE%7d#ooid=9mZnVtaTpnvMf4xYkRA-SAC6J-z3kjtw). Nothing can keep existing members, and attract new members like reminding them of the great work that AOPA Affiliates, and IAOPA, are doing on national, regional, and international levels to keep them flying. Great work is being done in all parts of the globe to advance the interests of general aviation and the best way to share the message is to make sure that this newsletter gets to as many members and non-members alike. So I encourage you to publish this on your website, send on via email to your members, and do what you can to help spread the word. The International Council of Aircraft Owner and Pilot Associations represent the interests of more than 450,000 pilots and aircraft owners in 73 countries. Formed in 1962, IAOPA is dedicated to promoting the peaceful uses of general aviation and aerial work worldwide. AOPA Netherlands is warning pilots to be prepared for serious disruption during the Nuclear Security Summit in The Hague on March 24 and 25, 2014. This is a global summit aimed at preventing nuclear terrorism around the world and will attract some 58 world leaders and 5,000 other delegates to the Netherlands. As a result, significant portions of airspace in the Amsterdam FIR will be closed or restricted between March 23 and March 26, inclusive. "Согласно пункту 2.5 Приказа Министерства инфраструктуры Украины от 28.10.2011 г. № 478 «Об утверждении правил полетов гражданских воздушных судов в воздушном пространстве Украины», зарегистрированного в Министерстве юстиции Украины 21 ноября 2011 за № 1327/20065 «До начала полета командир воздушного судна должен ознакомиться со всей имеющейся информацией, касающейся запланированного полета. Предполетной подготовки к полету по ППП включает тщательное изучение текущих метеорологических сообщений и прогнозов погоды с учетом требований по аэронавигационного запаса топлива и возможных альтернативных действий в случаях, когда полет не сможет быть завершено согласно поданному плана полета ». Два члена экипажа погибли, третий доставлен вертолетом в реанимацию. Этот самолет был в составе группы из 8 французских машин, принимающих участие в перелете из Франции в Украину, по приглашению нашей организации. 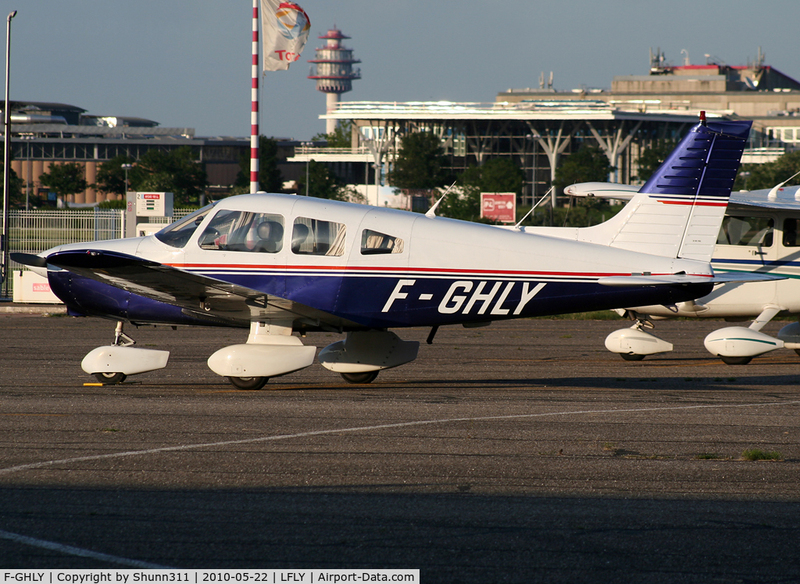 AOPA Ukraine is sad to inform over terrify accident with french airplane Piper PA-28-161 F-GHLY. The plane flew in Ukraine was invited by our organization. We express our deepest condolences to the families of the dead pilots and wish a quick recovery to the third member of the crew. "Music Avia Bike UKRAINE - 2013"